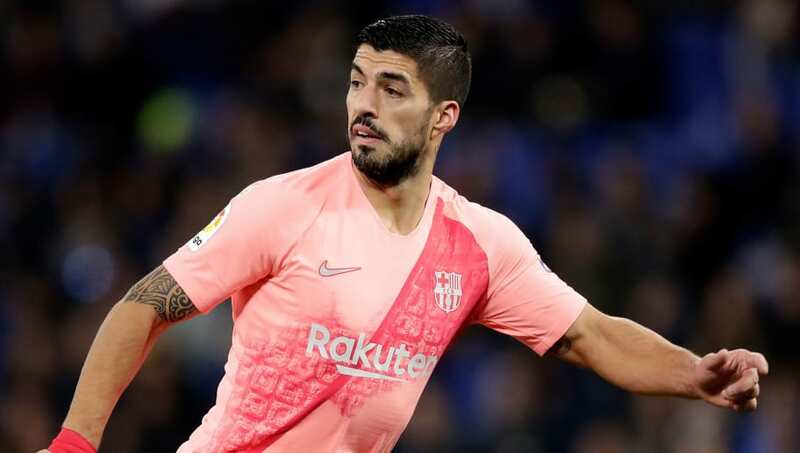 ​Barcelona forward Luis Suarez will not play against Tottenham on matchday six of the Champions League group stage this week, with coach Ernesto Valverde predicting that he will make changes to the lineup after Saturday's city derby against Espanyol. Barça have already secured top spot in the group and a seeded place in the draw for the first knockout round. As such, Suarez will be afforded a rest when Tottenham make the journey from London to Catalonia after recently overcoming a minor knee injury. The Uruguayan's appearance against Espanyol, during which he scored, was his first in two weeks and playing two games in three days off the back of an injury absence seems unwise. "There are sure to be rotations tomorrow; we just had a big game on Saturday. Every game is an opportunity to show what you're capable of doing," Valverde stated on Monday. Munir El Haddadi could be given the nod ahead of Suarez after he replaced the 31-year-old at the weekend. Alternatively, Barça also have the option of lining up without a conventional striker. The news of Suarez's absence and a potentially weakened Barça lineup will be a boost to Tottenham, for whom only a win will guarantee them a place in the knockout stages. Spurs are currently marginally ahead of Inter after beating the Nerazzurri on matchday five. But with both clubs level on points and Inter facing win-less PSV Eindhoven at home in their final game, Spurs cannot realistically rely on any favours if they fail to clam maximum points.